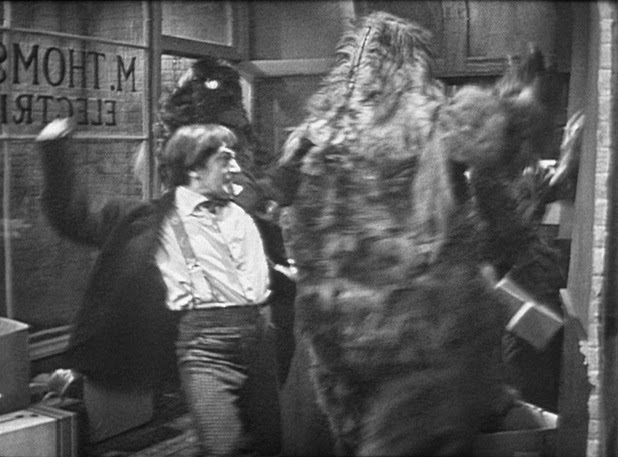 DOCTOR WHO - Which are the best PATRICK TROUGHTON stories? | Warped Factor - Words in the Key of Geek. DOCTOR WHO - Which are the best PATRICK TROUGHTON stories? 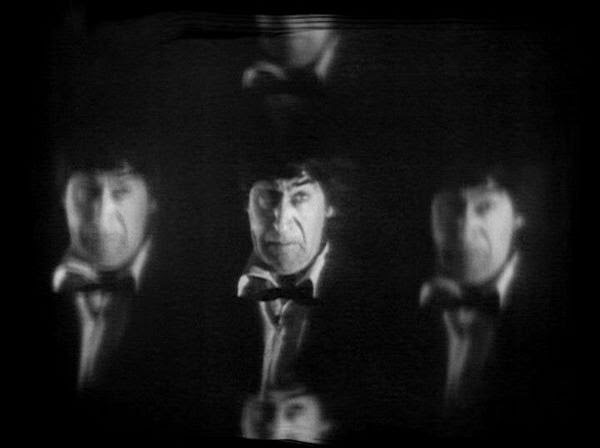 Which are your favourite Patrick Troughton Doctor Who stories? It's an era that suffers more than any other from missing episodes, yet it's also a time that it's held in very high esteem. So to get you thinking about your own favourites, Christopher Morley counts down his top 5 stories from the Second Doctor. 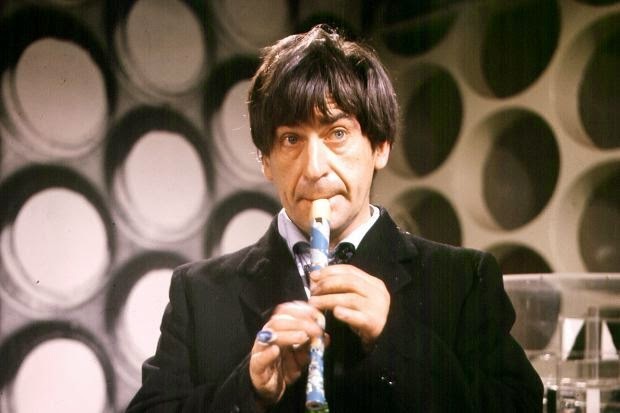 When your subject is the Second Doctor, it becomes near impossible to craft a mere ' top five' of his travels throughout time & space! But that is what we must bring ourselves to at least have a bash at here- from his first full appearance in The Power Of The Daleks to his swansong in The War Games, the three year stretch from 1966-69 in the company of Patrick Troughton's delightful cosmic Chaplinesque type ( the exact description Sydney Newman gave when the decision was taken on high to give William Hartnell's First Doctor a 'renewal') is rightly fondly remembered by many as a high water mark of Who. It seems only fair to include the story in which he gains his best friend ( & indeed the longest-serving male companion in the history of the series). Having only recently regenerated, our new recorder-playing pal decides he'd quite like to have a go at the bagpipes after saving Jamie McCrimmon & a band of his Jacobite buddies from a life of slavery in the West Indies. It's also a notable ' last'- at least until Black Orchid anyway. The ' pure historical' takes one final anticipated bow, and the sight of the Doctor in drag as an elderly washerwoman has to be one of the best comedy moments in all of Who. Not only that but he cements his status as champion of seemingly doomed causes in helping the Scots- ultimately they'll be massively outfought by the Redcoats of the British Army, but at least a band of them will escape to France to join Bonnie Prince Charlie in exile in France. Which is something, especially for those with an interest in Stuart politics/intrigue. And the Doctor gets two souvenirs from his visit. A lovely alternative piece of headgear & a new companion who'll stay with him for the rest of his days. Great stuff! Surrealist Who at its wonderful best right here! Having been drawn into the Land of Fiction, a place outside of normal space/time where ( as the name should imply) fiction is reality, the Doctor, Jamie & Zoe must escape the attentions of the Master of the Land & indeed his boss, a rather nasty computer going by the title of the Master Brain, before Two can be allowed to take over as the new Master. Cameos from literary figures including Lemuel Gulliver ( later revealed in Future Imperfect to have been a young Goth, working for the Celestial Intervention Agency before rising to the rank of Chancellor on Gallifrey- & after revealing himself he's got a hell of a mission for the Doctor from his masters. 'Three Doctors' & ' Omega' feature somewhere, as a clue) & Princess Rapunzel herself should give you some indication of the kind of thing we're in for here, as well as the possible high quality of herbal cigarette quite possibly being passed around BBC staffers at the time. In short, a sort of children's storybook answer to Luis Bunuel & Salvador Dali's Un Chien Andalou- mercifully without the famous ' eyeball slicing'. Jamie's face gets rearranged, though. Not in the way he might have been used to back in Scotland, of course. This might just leave you with an appreciation of just how trippy the whole thing is, without the aid of a bong to boot. If such a low-down trick is allowed, both of the Doctor's initial meetings with the Great Intelligence must be grouped together here. Arguably the greatest of the Great Old Ones ( a Lovecraftian link, grouping some of the Doctor's Ctulhu-esque foes together with H.P's best-known creation- read up in entertaining fashion with The Nameless City), the being originally known as Yog-Sothoth first tried to get his mitts on the Doctor's mind in the Himalayas- with a little help from some robotic Yeti. It & they then tried to nab him in the tunnels of the London Underground ( the plan hatched with a little accidental help from the Eleventh Doctor- see The Snowmen). In a timely discovery, the entirety of The Web Of Fear was recently found in Nigeria & subsequently issued on DVD by the BBC..so you can either refresh your memory or find out what Yog was up to before attempting to take advantage of the awful Victorian winter chill in the worst possible way, with Eleven on hand to stop him in a stroke of luck. But we also get to see the Second's ' kindly uncle' side- witness this pearler of a speech to Victoria Waterfield. In his wisdom the Doctor also knows when to use his cunning, though. Kindly & even a bit daft externally, mentally he was as sly as a fox which held down a position as Professor of Cunning at Oxford. He uses this gift to thwart the pesky Cybermen by electrifying the doors of their precious tombs- just one of the many chances he gets to show it off. It's particularly satisfyingly used in The Power/Evil Of The Daleks & The Ice Warriors as well, You see now just why compiling a Premier League of Pat is so damned hard! They've been taking soldiers from all of Earth history's big conflicts & conditioning them to fight in War Zones modelled on their native times, with the survivors from each Zone being banded together as a sort of super-army under the auspices of the War Lord & War Chief ( who's a fellow Time Lord, formerly known as Magnus). And they must be stopped at all costs, which creates something of a dilemma for the Doctor. A very large one, come to that. It just might be the end, prepared for in rather dramatic fashion- to coin a phrase. 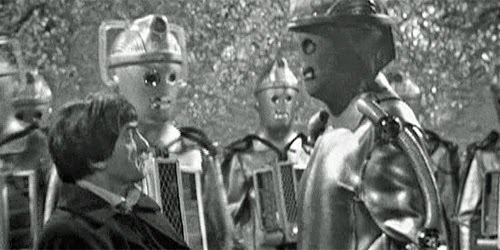 Assistance does indeed arrive, but Two is forced to stand trial for his repeated breaches of the official non-intervention policy in temporal matters & sentenced to enforced regeneration..making it one of, if not the, best final act of any Doctor before or since. How soon after his sentencing the change happens depends on whether or not you're a follower of the Season 6B theory ( encompassing Players, World Game & The Two Doctors) but happen it does. 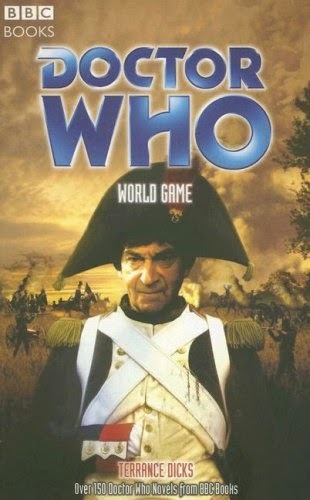 He even gets to have a go at impersonating Napoleon at the Battle Of Waterloo (take a look at the wonderful cover of World Game) as part of his first Celestial Intervention Agency mission against the Players before he's forcibly ' renewed' once more. Does he get to have a go at one of ABBA's greatest hits on his recorder while he's there? Sadly not..but that's a story for another day. 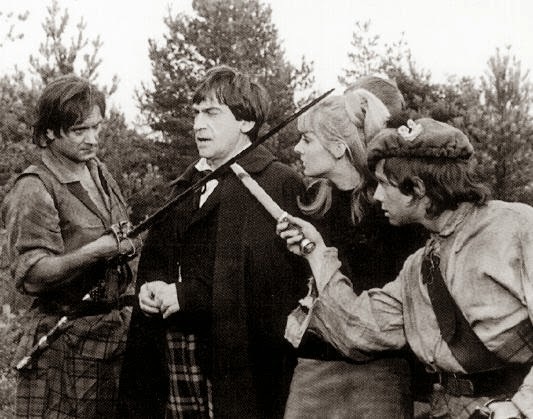 So which do you think are the best Patrick Troughton Doctor Who stories? Do you agree with Christopher's choices, or do you have a different top 5? Next time it's the turn of William Hartnell, the original you might say!